Full-length interview with Theodor 'Ted' Holm Nelson. Portions of this interview were featured in episodes from the WGBH/BBC Series, The Machine That Changed The World. The Machine That Changed The World was a five part series chronicling the personalities and events of the computer revolution. The program traced the history of the development of the computer to the modern personal computer, to future developments on the horizon. There was a focus on history of computers from 19th century to PC, present day applications, and future developments. Ted Nelson founded Project Xanadu in 1960 and has been called a pioneer of Information Technology. Select metadata for this record was submitted by John Campopiano. 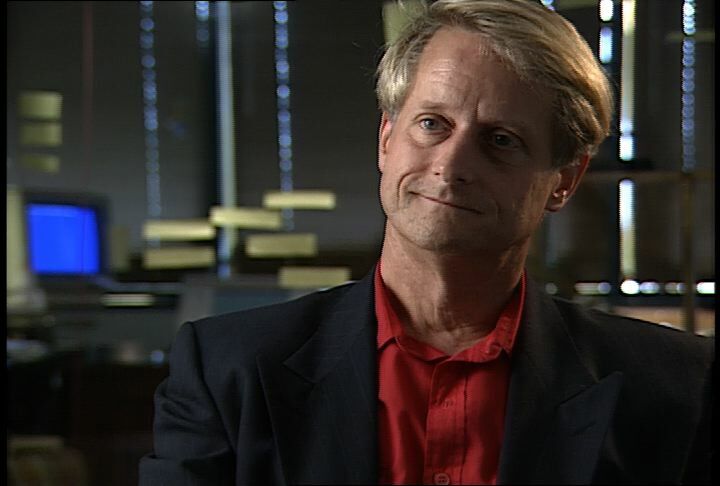 Chicago: “Machine That Changed The World, The; Interview with Ted Nelson, 1990,” 05/21/1990, WGBH Media Library & Archives, accessed April 21, 2019, http://openvault.wgbh.org/catalog/V_4D37F2D8E1054BA49999027BF9D18957. MLA: “Machine That Changed The World, The; Interview with Ted Nelson, 1990.” 05/21/1990. WGBH Media Library & Archives. Web. April 21, 2019. <http://openvault.wgbh.org/catalog/V_4D37F2D8E1054BA49999027BF9D18957>.